· In a pan heat 3 tbsp of sesame oil. · Add tomatoes to it and mash it once they become soft on frying. 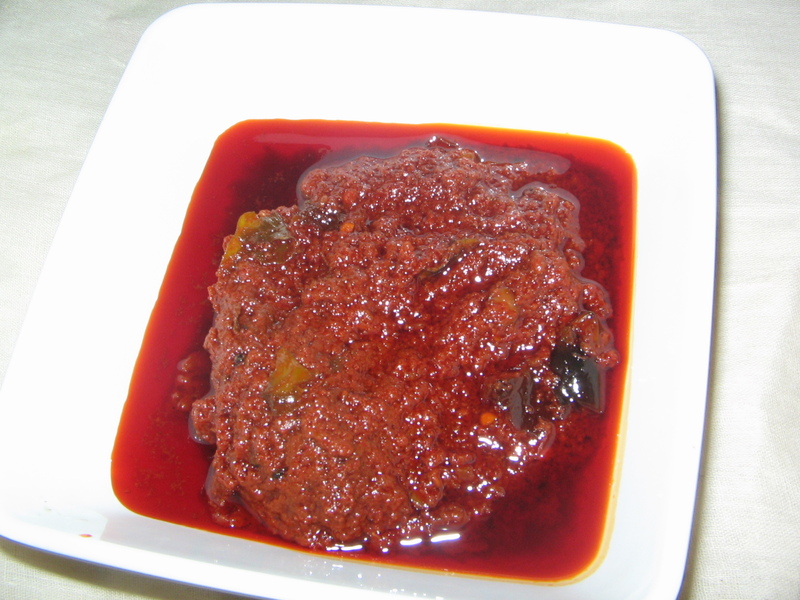 · Grind the tamarind and green chilies along with this tomato paste. · Meanwhile, on another pan heat 3 tbsp of sesame oil and add mustard seeds to it. · Once they start splitting add the fenugreek seeds asafetida and fry it. · Let it cool for sometime before serving.